To many travelers going to Toledo City, Cantabaco is just a small quiet barangay with a clump of houses and small stores on either side of the road. 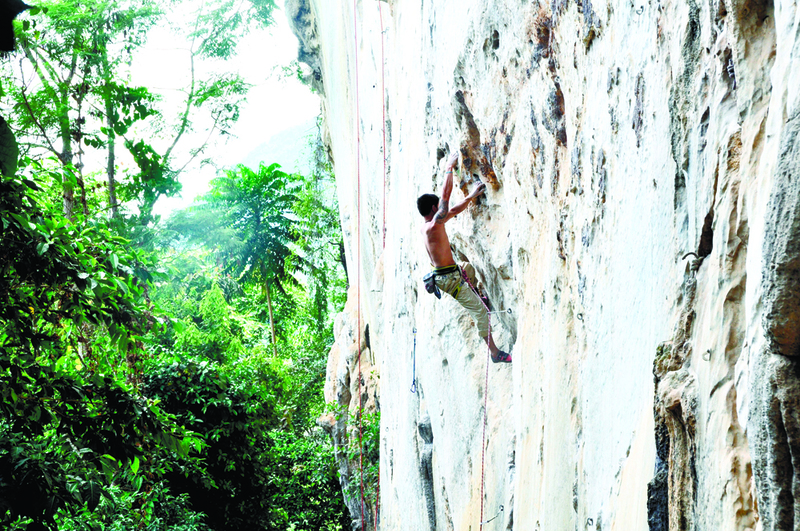 But for rock climbers in Cebu, it is their mecca. 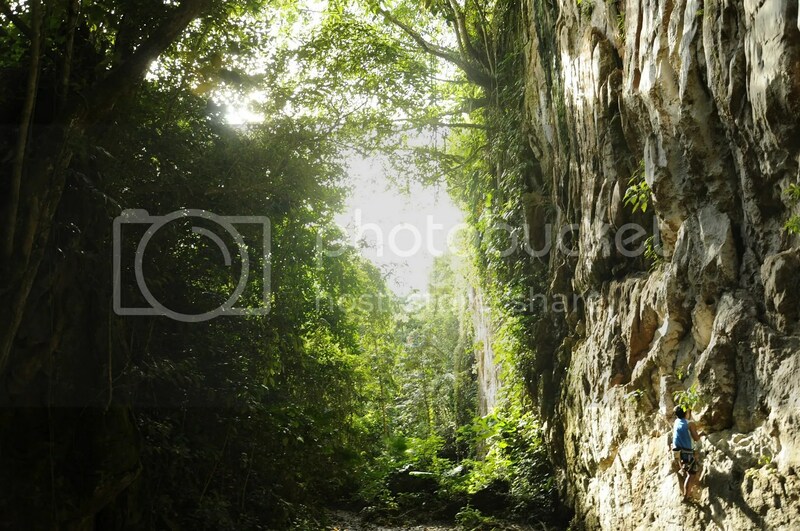 With 43 different rock climbing routes that reach up to 70 feet high, no climber can ask more of Cantabaco’s rock walls. Cantabaco was first established in the late 1980s. Back then, climbers would insert metals into cracks to secure their ropes, which would catch them should they fall. That method of ascent is called traditional climbing, most commonly referred to as trad climbing. Many climbers saw trad climbing as dangerous, not to mention that equipment used in trad climbing are expensive. So, they found a way to make it more accessible and safer by placing bolts on Cantabaco’s rock walls. These bolts now allow climbers a secure way of making their way up and down their routes of choice. Since this method was practiced, there has been no accident in the area. Except for the bolts on the rock wall, the area is 100 percent untouched. The holds and the entire feature of the wall have never been altered. Getting to Cantabaco is easy. Buses going to Aloguinsan, Pinamungahan, and Balamban that ply the Toledo route all pass by Lutopan. There are many of these buses at the South Bus Terminal. From Lutopan, you can take a five-minute habal-habal ride. The fare for the bus ride is P40 pesos and P10 for the habal-habal. Also, vans-for-hire going to Lutopan ply the Manipis, Talisay route. This is a shorter trip and it passes right through Barangay Cantabaco. The trip starts at City Link Terminal and fare is P70. Getting from Cantabaco back to the city can be more challenging as the buses and vans are always jammed with passengers. It is best to leave before dark to avoid competing for spaces in already jam-packed buses and vans. Those who want to experience one of the best crags in Asia may find guides at the Cantabaco Climbing Friends Facebook page. Trekking / rock climbing shorts – Like those made by V12 Radgear, these shorts are made specifically for rock climbing. Not only do they have that bold look, they are also loose enough to make most leg movements easy but not too loose that they get in the way. They allow high steps and long leg stretches much easier. Sports bra – Most advanced female climbers prefer to wear a sports bra as it allows them more movement and ventilation. Harness – This is worn around the hips and thighs, where the ropes are anchored to. Black Diamond, Metolius, and Petzl compete to provide the safest and best-looking harnesses. Lycra shirts / birthday suits – Like in most athletic activities, dry-fit shirts are best for rock climbing. They provide protection against scrapes and easily whisk sweat. Locally made Habagat and V12 Radgear shirts are a personal preference for many Cebuano climbers. Some rock climbers prefer to go shirtless to show off, obviously. There are also climbers who wear plaid polo when climbing, following a trend set by free soloist Alex Honnold. ATC and GriGri – ATC stands for air traffic control while GriGri is a trademark by gear manufacturer Petzl. Ropes run through these equipment to aid in rappelling. Ropes – Designed for this sport, these ropes are elastic and can carry the weight of a small sedan. 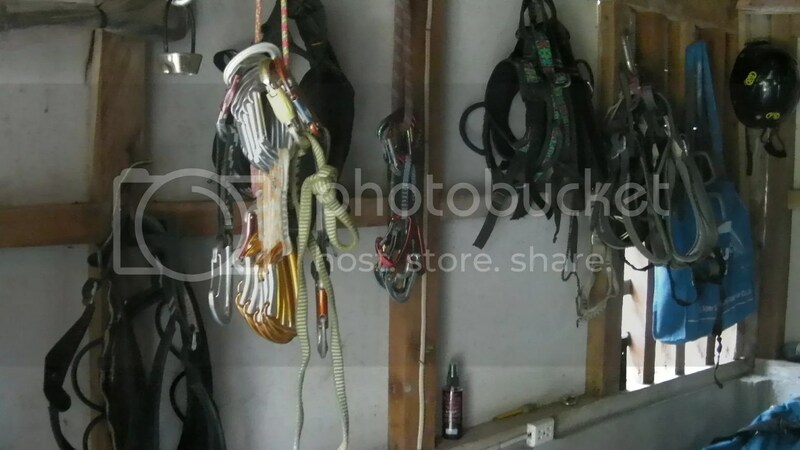 Static ropes are also used by some climbers, but they work best for rappelling. Rock shoes – Specifically designed for climbing, these have tight gripping rubber soles arched to give the mid-sole extra support. They are designed to direct the entire body weight to the toes to aid balance on very tiny footholds. Five Ten, Evolv, and Climbx are the top choices. Pasay-based Gear Shop (Facebook.com/AdventureGearShop) offer the best priced rock shoes in the Philippines. Carabiners – These are hooked shape metals that have spring gates, connected by strong fabric-based materials. They look like regular key holders but, like the climbing rope, it can support the weight of a small sedan. Cycling shorts / leggings – Some climbers prefer the absolute flexibility of cycling shorts and leggings. Yet these are less popular choices compared to trekking shorts for those who value looks over efficiency. YOU CAN ALSO TRY TO OTHER DESTINATION!!!!!! 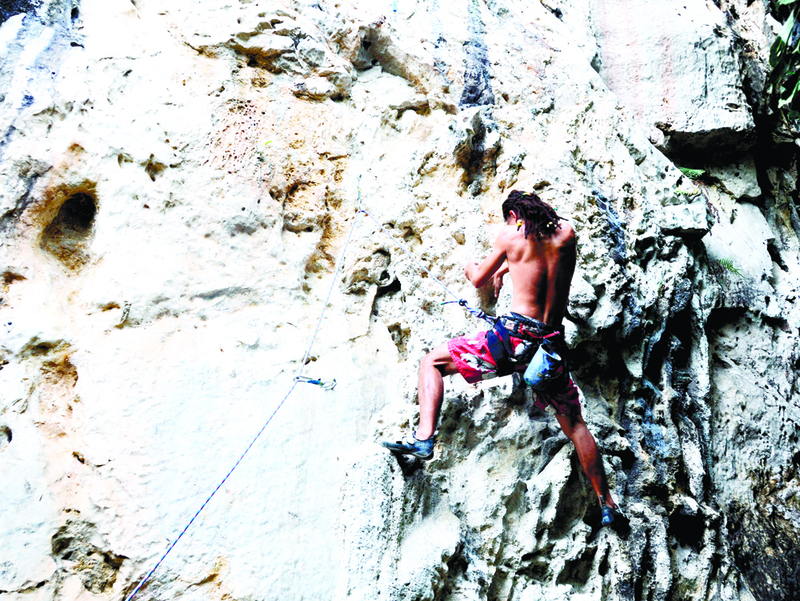 The popularity of rock climbing in Cebu—and in the Philippines, as a whole—has been slowly but steadily picking up. That is no surprise at all as we are blessed living in a lush, beach-filled, tropical paradise with numerous limestone cliffs that have the potential of becoming world-class climbing areas. 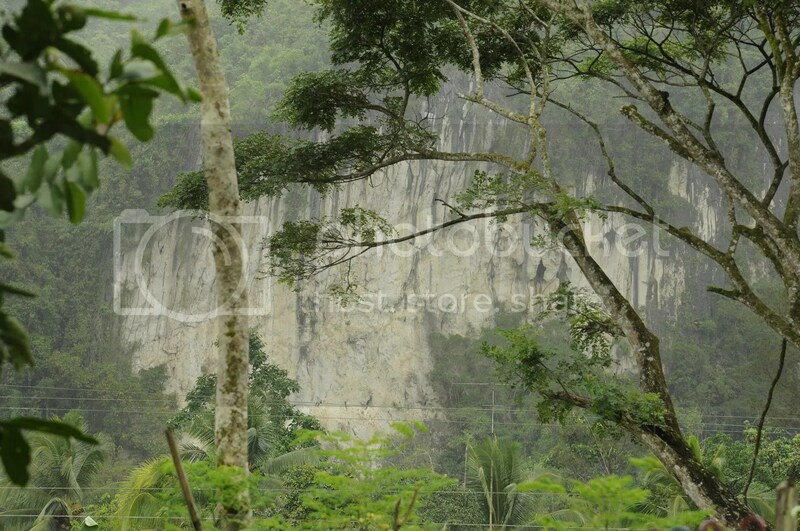 In fact, we have one of the best rock climbing areas in the Philippines, which is located in Cantabaco, Toledo. Now, we have a new one, which is just 15 minutes away from that classic crag. together with a small team of local climbers and guides, re-discovered an abandoned crag in Poog almost a year ago. After testing the rock through trad climbing, we concluded that it was the perfect candidate for a new rock climbing destination in Cebu. Through the generous donations of Ascanio Combria and Matthew Brooks, the bolting efforts of Enie Yonson and his team, and Gretchen and Willard’s talks with the Poog LGU, they were able to initially equip the white-rock Poog crag with more than 20 routes. 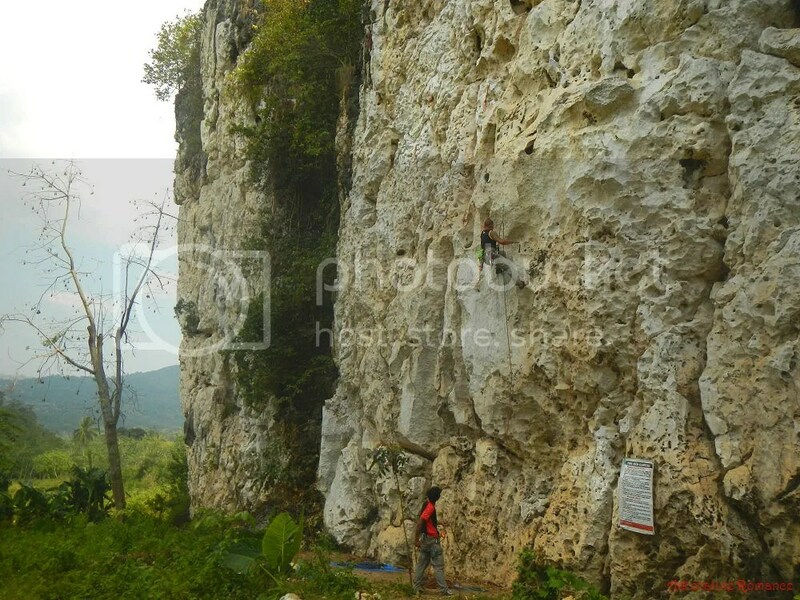 Now, the beautiful Poog crag is open for everyone who wants to try out the adrenaline-pumping sport of rock climbing. The road that leads to the crag is not difficult to spot; it is just beside the Uling, Naga-Toledo highway anyway. But for first timers, it can be tricky. Ride a Toledo-bound bus or V-hire, and tell the driver you are going to Poog. Once the bus turns left at the Uling-Toledo-Lutopan crossing, keep your eyes on the left side of the highway until you see this group of stores surrounding an inner road.